Over the years I have spoken many times about the importance of a quality plastering job. That importance has not waned, and I am unfortunately hearing more and more stories about plaster failures around the world. A large percentage of the consulting work I do is helping clients deal with these plastering issues. There are two common themes, or dare I say causes for the failures. If you avoid these two approaches to plastering your home, your plaster should provide you with a very long life. Failure #1: Mixing earthen and lime plasters on a wall surface. This is perhaps the most common mistake that I see over and over again. People choosing to use earthen plaster for the scratch and brown coats and a final, “durability coat” of lime. The problem here is that what you have is stronger plaster over weaker plaster when in reality, you want it the other way around: weaker plaster over stronger plaster. 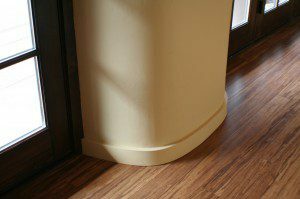 If you consider all plaster work over the last say…thousand years, one thing holds true no matter what material you use. The second coat has more sand in it than the first coat and the third has more than the second. That makes the coats “weaker” as they move away from the wall. This is important because plaster moves, as do homes. If the weaker plaster beneath a strong lime finish coat can move more than the finish coat, you will ultimately get delamination between the two coats which will lead to eventual plaster failure. By laying weaker plaster over a stronger finish coat, it will always be able to move at least as much as the coat beneath it. This keeps the plasters well bonded and eliminates the high risks seen in the opposite application. Failure #2: Trapping moisture in the wall. There are two main ways to create this problem. The first is to use a plaster than does not breathe well. For some reason, the use of cement in plaster is still celebrated by some builders. I do not understand this at all. We know that cement based plasters don’t breathe well and we know they are more prone to cracking than lime or earthen plasters. Sure they are stronger, but who cares when they will eventually cause your walls to rot. DO NOT USE CEMENT BASED PLASTERS on a bale home. That is as easy a fix as any. The second way that moisture gets trapped in a wall is something I see all the time. People decide to use earthen plaster on the home’s interior and lime (or even worse: cement) on the exterior. Those materials all have a different rate of permeation. Let’s consider the most common application scenario: earthen on the interior and lime on the exterior. In any given hour, the earthen plaster will allow 10 units of moisture to enter the wall. During that same hour, the lime will allow 7 or 8 units to exit the wall. The remaining 2-3 units are stuck in the wall and will continue to build up in the straw, leading to moisture trapping issues which are the cause of bale decay. I very often hear people complain about lime plaster being a bad choice because “they have heard” lime will cause rot in the bales. NO, THAT IS NOT TRUE. What is causing the rot is the overloading of moisture in the wall due to the uneven plaster moisture rates. Yes, there will be rot behind a plaster coat made of lime in this situation, but the lime is not to blame, it is the combination of materials that were used. To prevent this problem you can either use the same material on both sides of the wall, or you can build up the interior coat to slow down the rate of movement through the wall. This is my favorite option. In the same example, we could simply build the interior earthen coat to 2” and leave the exterior lime coat at 1 1/4”. The added thickness on the interior will slow down the moisture movement through the wall such that the lime can release as much as the earthen will allow to enter in the same time period. Simple fix. Again, remember that plaster plays a hugely important part of your home. It is not simply a coat of paint over siding. It is the protection your bales need, the beauty your neighbors see, and sometimes part of the structural system that holds your house up day after day. Don’t skimp out in this. What is the point of spending a bunch of money on the framing, plumbing, windows, or any other part of the house only to skimp on the plaster and watch it fail in 2, 5, or 10 years? Ensure that you use high grade plaster materials and that you apply it properly. If I’m coming across a little strong here, it’s because I care. Want I want is to empower you to make the right decisions so that you don’t have to experience these failures yourself. 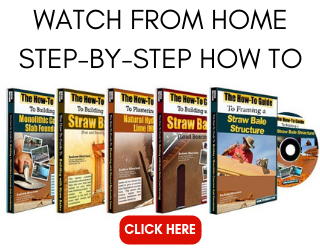 You can find out how to plaster step-by-step using the practices I’ve used with success for years with my “How to Plaster a Straw Bale House”. Click HERE for more information. We have designed and built a house from earth bags. We have tried earthen plaster twice and the last try was by the house owner and his contractor alone by partially maintain the interior of the house by using cement, lime and sand only on the cracked areas. Now, the new plaster has cracks and the connections between the old and new plasters have cracks as well. Do you have any suggestions? I think the contractor should have applied a layer of earthen plaster, (same as used in the earthbags themselves( then should of added the lime plaster layer. Also, do you think it is a good idea to partially maintain the plaster? Hi Alice. That’s a tough one. The best approach is to remove the failing plaster. If you cannot do that, then you could use a lime plaster over a spiderlath layer, but the lath will be hard to properly attach through the existing plaster. If the lath is loose, then the plaster will be able to move more than it should and future cracking may develop. Perhaps you can sew through the walls/plaster to secure the lath. Then you would be okay. I would start anew with the plaster (3 coats), or at least do two coats so that you can build up some strength in the new finish. I would do a 1.5:1 sand to lime for the first coat, a 2:1 sand to lime for the second, and a Finish lime plaster on top of all of that. Each coat would be about 1/2″ thick except for the final coat which would be about 2316″ thick. My preference is Natural Hydraulic Lime from TransMineralUSA (www.limes.us). Let them know you are working with me and they will give you my discount pricing. The problem is adding stronger plasters (lime or cement) over the top of weaker ones (earthen). The plaster underneath is able to move and flex, but the surface plaster is too rigid to move at the same rate, thus the cracks. The best approach is to remove the more rigid plasters and stick with the earthen plaster. If that is not an option then you can use a lime plaster, but you will need mesh reinforcement between the earthen layer and the lime layer. It’s a tough situation to fix without removing plaster. Sorry for the bad news. I’m building a straw bale home in the Utah desert. There are quite a few straw bale houses around here, and a lot of them are using earthen plaster both inside and outside, with silicate paint on the exterior. Do you think that would create too much of a disparity between permeability rates? Silicate paint is supposed to act sort of like Gore-Tex for the plaster, allowing vapor to escape but not allowing liquid in. In our dry forgiving climate maybe this isn’t as much of a concern? Hi Regit. I don’t see any other questions from you that are unanswered in this thread. Sorry about the confusion. Perhaps they didn’t post…? Feel free to ask them again and sorry that they didn’t come through. 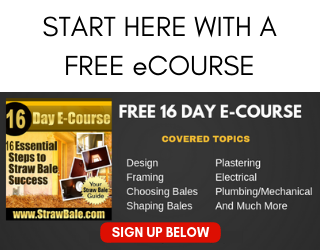 Do you have any “easier” method for plastering a straw bale house than this method? I would do it without professional help and it seems very difficult for me to create a good plaster mixture for the first time with the same quality for inside and outside and also to apply it with the needed contingency. With little knowledge I though of closing the straw with wood or any other simplier to be applied material wouldnt work? Hi Benjamin. Plastering is indeed difficult work. You can clad the home with wood siding, or any other finish; however, the wall details would need to be different to make sure you have adequate ventilation between the siding and the bales and to also make sure there is enough backing and points of attachment for the siding. I can’t seem to find any info on the use of expansion, construction, or control joints in the stucco/plaster walls. All the stucco contractors I’ve talked to want to know if I want any of these. I can see the benefit of construction joints. It gives the stuccoers a straight line to stop and start the next day, but I’m not sure about any of this. What can you recommend? Hi Tina. Thanks for your question. It’s somewhat of a personal decision to use expansion joints in the plaster. Many people prefer them, especially on large uninterrupted faces, but they are not the norm in straw bale construction to be sure. The straw itself does such a good job of anchoring the plaster and thus, the expansion joints are not required to stop cracking. If you want them simply for stopping points, that’s fine too. Just be sure to create a visually pleasing pattern because you WILL see the stops in the final plaster. Cheers. 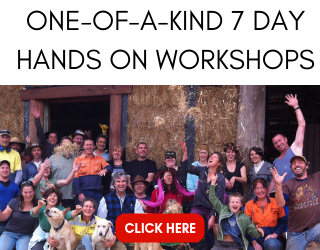 I am building a straw bale home. We have already stuccoed the exterior using a traditional cement based plaster. The house exterior was also wrapped in tar paper prior to stuccoing. The interior is not stuccoed yet. I’m considering using a structolite plaster. After reading this I understand I may have some issues. I live in a fairly wet climate.. south Mississippi. Could you also explain how the interior would absorb the same amount of moisture as the outside (given the same material and thickness exists on the two stuccos) if the inside is a dryer environment? There is much more humidity outside and rain. Hi Andrew. I’m in New Zealand and looking at doing a lime plaster on an earth floor which has a concrete base underneath it. The earth floor was originally years ago oiled with tung oil. Granted I have to scratch that up to create a key but my main question is what type of mix would you recommend and how thick to create a reasonably robust lime plastered floor? Can I ask a question? Can I use an ordinary cement for the straw bale house? Is there any possibility that the wall will crack? Thanks Andrew. I would highly recommend that you NOT use cement based plasters at all. They are too brittle and don’t allow for moisture to escape the walls. It’s a recipe for a failed wall system in most climates. I highly recommend Natural Hydraulic Lime plaster (www.limes.us). If you mention that you are working with me or were referred by me, Michel will give you my discounted pricing. Cheers. Hi Stephen. I must admit that I don’t have an answer for this question. I suggest you contact Michel at http://www.limes.us to see what he recommends. Sorry I can’t help. Hi Jennifer. It’s not so much that it will absorb as much moisture as the exterior as clearly the exterior is in more contact with rain (hopefully! ), etc. It’s that houses are pressurized from the inside out and any moisture that is pushed into the walls through a vapor permeant interior plaster can get stuck behind the tar paper and vapor IMpermeant exterior plaster. Thus loading the walls with moisture that cannot escape. The best thing is to make sure that the interior walls cannot allow more moisture in than the exterior can expel in the same time period. Hello there, I’m just beginning my journey into natural earth building. I wanted to ask about using gypsum for interior plaster work, it’s been traditionally used in France for centuries and it has seemed to escape the natural building movement in the states. I am by no means an artist so I’m trying to find info out about different interior plasters that could be used to cover the stray bale that would allow me to use wood based mouldings such as baseboards and crown. Any info would be appreciated ! Hi Michael. In my experience, gypsum is used as a finish plaster but not a build coat. I have heard of people using it as their finish coat on bale walls before, but I have always stuck with natural hydraulic lime plaster. You can still use wood mouldings on lime plaster, as long as you prep for them ahead of time. Hope that helps. I have built a cob surround for my wood stove. The surround is cob on cement board and I then built a cob arch with a stone mantel and smeared the existing fireplace with a thin coat of cob to match. I now want to cover with a lime plaster and don’t want to wait weeks for a putty to set up. I have been thinking about use type S with sand and covering the cob with that for a finish coat. It is in the house so it will be dry and I would like it to be light in color. Is this the best method or should I be looking into earthen plasters? Any advice would be amazing help as I am having trouble finding a lot about this type of application. HI Geoff. I don’t work with type S as it tends to be a much lower quality lime. That said, for the purpose you are considering it, I think it could work for you. Because it’s indoors, you won’t have any freeze-thaw issues to deal with. You may get some pops in the plaster that would need to be repaired over time as the type S expands (not guaranteed, but possible) but that would not be a major job on a project that size. I have a strawbale house in central Texas with lime plaster outside and clay plaster inside, clay being much thicker than the lime, as you suggested. I’ve had no issues, but some have told me I have to do a limewash. I love love love the finish plaster, a mix of 2 different sands, one yellowish and one pinkish. If I limewash, I’m afraid it will be more uniformly colored. Is it possible to do alternating layers of differently pigmented limewashes to get a similar effect? 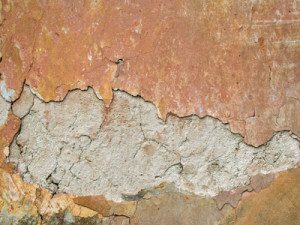 Do I really NEED to limewash if there isn’t any erosion? Any advice would be so very welcome. Hi Eric. Thanks for your message. 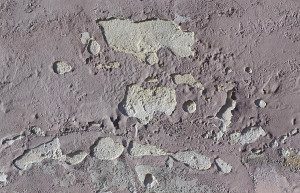 I don’t see any need to lime wash unless the plaster is showing signs of stress: growing cracks, water intrusion, etc. It sounds like your plaster is doing just fine as is. In general, a quality lime plaster does not need to be rewashed very often, especially if you used hydraulic lime plaster. If you used a lime putty, there is more chance for needing a lime wash, but again, only if you see signs of wear and tear that you think require freshening up. Hi Luciano. Good luck with your project! You can use hydrated lime (lie putty is best) if you cannot find hydraulic lime. That said, the best hydraulic lime in the world (in my opinion) is mined in France and is shipped all over the world. The St. Astier Lime is what you’d look for. It’s very possible that you could get it in Uruguay, although not a sure thing. If you cannot get it and are sure to use hydrated lime, be sure that it is well slaked (set in water for a long time) and as pure as possible. I’d recommend at least 3 months of slaking. You can also give it hydraulic properties by adding a little bit of brick dust (5% or less) materials. Hi just looking for advice about adobe internal render over cement. Is this OK? I have not done this myself as I prefer to plaster with lime, but I don’t see that it would be a problem. The key is that the more rigid material (cement based) is underneath the more flexible plaster (earthen). As long as you get a good mechanical key to bond the two coats together, you should be fine. There will be no bond other than the mechanical one you create, so be sure to focus on creating a solid one. I would want to see the cement coat roughed up significantly (steel brush and/or scratch tool made of nails through a float: called a devil float). Good luck. I have no first hand experience with it so can’t offer any insight. I would be concerned about two things off the top of my head. The first is the use of cement, as I am not a fan of it (it’s brittle, prone to cracking, and doesn’t breathe well). Secondly, saw dust feels like a dangerous additive as it is prone to rot and will be exposed to the elements. Sorry I don’t have any experience to reach back to on this topic. Hi Andrew, we are in the stage of prepping our walls for plaster in the next month. Mesh, lathe, burlap patches, stitching, etc. I’m curious as to the importance of a level or plumb wall. I realize that small inconsistencies in grade will be forgiven and made up for by the plaster and we are not looking for a “drywall finish” look. But what about a difference in bale depth of 2-4 inches. Will we be able to just load up the plaster inter scratch coat those spots? I’ve looked for images but all I can find is perfectly plumb looking fuzzy straw walls. Hi Jay. Plaster is very expensive relative to straw. Your best bet is to tighten up the walls so that the surface is as close to flat and even as possible. Use tampers, or whatever tool you feel most comfortable with to force the bales in line. It’s worth it. You can add lots of plaster, but the wall won’t be as strong (since it’s not stacked as well) and you may end up seeing the difference in the finish coat. It’s especially difficult to add thick plaster in some areas and not in others because it will a) slump under its own weight and, b) prove difficult to float out as the thicker areas will be much softer and wetter than the rest of the wall. Hope. I work almost exclusively with Natural Hydraulic Lime from St. Astier as I believe it is by far the best plaster available for a bale house. By the way, if you decide to contact the folks in the link and use it on your project, be sure to mention my name and ask for my discount. This will help lessen the cost of relatively pricey (BUT TOTALLY WORTH IT) product. For a garden wall, you probably don’t have to spend the money on NHL plaster. You could get away with a cheaper lime, although the finish won’t be as good. You will need to turn the lime into a putty by adding it to water (little by little) and then letting it it for a month or more under water. This allows all of the material to slake and hydrate properly. Then it’s a mix of lime and sand plus a binder (chopped straw, horse hair, etc.) for the plaster. First coat is a 1.5 sand to lime mix (by volume) with roughly 5-7% binder. The second coat is 2 sand to 1 lime plus binder. And the final coat is 2.25 sand to 1 lime plus very finely chopped binder. These numbers/ratios can be different as long as they follow the same pattern of adding MORE sand to the mix as the coats get farther from the wall. No need for any other coats over the straw to get started. You will need to water the walls properly to make sure there is enough moisture so that the new plaster can dry slowly. The process is pretty in depth, so it’s best to take a look at the plastering video we offer HERE. It covers the entire process in step-by-step explanations and visual examples. We are building our Strawbale house in south western Ontario (humid summers, snowy winters). Our plan is a clay slip over the straw (clay/water mix), earthern plaster inside (clay, concrete sand, straw) 1″ thick and a thin finish coat (clay, brick sand, cottontails) on the inside. On the outside, our plan is a clay slip over the straw (clay/water mix) and a lime/clay earthern plaster mix (for example, 1 part lime, 4 parts clay, 10 parts concrete sand, 10 parts straw). The lime will by type S bagged lime. We are planning on putting strapping on top of this layer and then wood siding for extra protection of the walls (about a 1″ gap between woodsiding and clay). The wood siding will go on in a year or two. Since we are planning on putting siding, we were told we didn’t need a final coat on the outside, but if we were to put a final coat, it would be a lime-sand mix. Based on what you were describing with moisture movement, I am nervous to put a lime-sand final coat on the outside layers, especially as we were told it is probably not necessary. What do you think? Do you think we will be OK with the clay-lime mix on the outside to allow for even moisture movement? If not, would it be better to just do a clay mix for the outside? We cannot change the thicknesses of the walls at this point in time. We do know someone who had rot in their walls and I suspect it was from this moisture problem you have been discussing. Thanks for your input on this building methodology. Hi Talia. Thanks for your message. If you plan to cover the plaster with siding, you don’t need to use any lime at all. The purpose of the plaster in that situation is to eliminate any flame spread risk behind the siding. Clay plaster will do that without the lime. I’m not a big fan of Type S lime, personally. I use Natural Hydraulic Lime, and that is more expensive than you’ll need for your application (being that it’s behind siding). I am equally not a fan of clay-lime mixes as I’ve seen them fail far too often. I’d stick with clay plaster and get the siding on ASAP. Good luck!